Students will design and create an eZine based on a topic they are studying in the classroom, such as genetics, viruses, or women’s suffrage. While many print magazines have online counterparts, other magazines, called eZines, exist only online. Print and online magazines share similarities in content but differ greatly in layout. In this project, you will look at both print and electronic magazines and use what you learn to create an e-magazine that will educate your classmates and community about a topic you are studying. Articles are the most obvious form of content, but you may also choose to include a letter from the editor, letters to the editor, interviews, and/or advertisements in the form of written promotions, images, or even video. Engage students in a conversation about the magazines they read or have seen at home or in the store. Bring in samples of different types of printed magazines and/or ask students to bring in their own samples. Talk about the various topics the magazines address. Why are there so many different topics? What is the benefit of a magazine? Work together to list common features you find in magazines, such as a table of contents, a letter from the editor, letters to the editor, columns, etc. Next, ask students if they have read articles online. Give students time to explore examples of eZines and work together to compare traditional magazines to eZines. How does, or can, electronic delivery make an eZine different? Have students examine and analyze the benefits of including mixed media, links to other sources, and a variety of articles. Evaluate the design of eZines, including layout, graphics, colors, and fonts and how these items can add to or even detract from the subject. 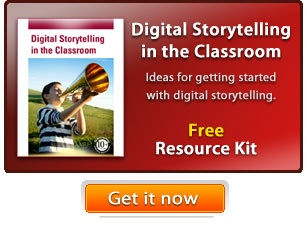 Let the students know they will be creating an eZine around a topic they are studying. You may choose to work as a class to develop a comprehensive single edition eZine, create an eZine that shares classroom learning with family and community, or divide students into groups to create a variety of focused eZines in one area of study. Is the eZine presenting just one view of a topic, or does it present both sides? What fresh insight can the editors and writers bring to the topic? What elements are needed to create an eZine that compels readers to start (or keep) reading? As a class or small group, develop a vision and organizational structure for the magazine. Determine which articles, letters, advertisements, and/or interviews need to be created and assign them based on interest and ability. Have each student research information, and/or opinions, relevant to the piece they are creating. If your goal is to build skills in informative and/or persuasive writing, be sure each student contributes a written article. Check in with students as they take notes to check for understanding. Have students peer-review each other’s rough drafts before submitting or adding a final version of the article for the eZine. Discuss design ideas as a team. Have each team member create a design sketch for the team to choose from or assign the task of design to a visually gifted student. If you are using Share, adjust the Master Pages to include color and imagery that will be automatically applied to each page in the magazine or select a template from Share’s library. To build visual communication skills, have each student develop appropriate graphics to support their text or design advertisements. You could also assign the role of Media Director or Art Director to one student to serve as the consultant for the multimedia elements of the project. Students should share their content with an "editor" before adding to the project. The editor(s) can be tasked with checking for typos and incorrect grammar in written articles. When the eZine is complete, publish it as a PDF or as HTML for sharing. Be sure to verify navigational links and accuracy of the Table of Contents or home page. All eZines should be shared online. If the eZine is a periodical about classroom learning, post it to your teacher site and/or email it to parents and family members. If small teams have created focused eZines that summarize classroom content, add them to your teacher web site as a review resource. If the eZine is a comprehensive collection of articles and informational pieces, share it through social media (or Edmodo) for other students and educators to use as an informational resource. Your librarian/Media Specialist may also be interested in posting student eZines to a station in the school’s media center or as part of the library’s electronic text collection. What you assess in the project will depend on your learning goals for student work. Their analysis and comparisons of print and electronic magazines provides a window into their media literacy and ability to think critically. Effective organization and design also demonstrate proficiency with modern communication and media literacy. You can evaluate the students’ informative and persuasive writing in the text of articles included in the eZines (see ELA writing standards below). Use student research notes, outlines, and article drafts for formative assessment during the writing process. Evaluate teamwork through behaviors centered around cooperation, planning, task assignments, and problem-solving. Baker, Frank W. Media Literacy. Eugene: ISTE, January, 2012. Pettinato, Minot. "Advantages & Disadvantages of Online Magazines" eHow. 3 April, 2013.